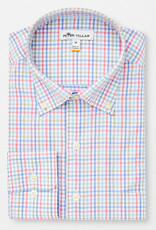 There’s more than meets the eye with this classic tattersall sport shirt. 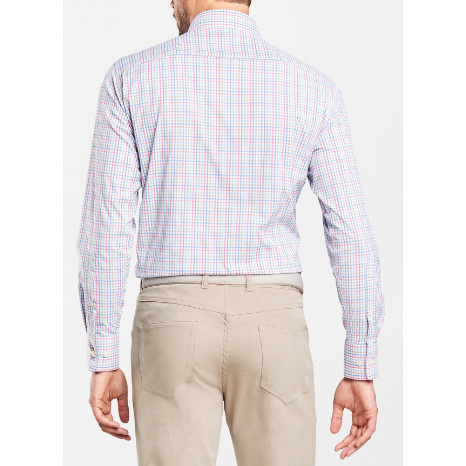 It’s constructed from a breathable nylon-spandex woven twill fabric that offers moisture management and stretch for mobility and comfort. 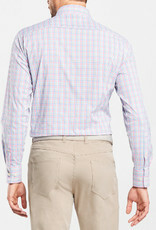 It’s finished with a button-down collar, French-front placket and double-button barrel cuffs. 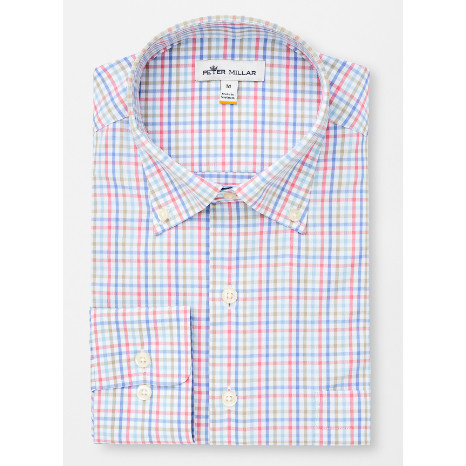 Pair this sport shirt with Peter Millar five-pocket pants and enjoy the perfect blend of performance and style.